Have you been thinking about effective, safe and natural ways to treat symptoms associated with arthritis, osteo-arthritis, eczema, psoriasis, or even muscle aches and pains? You may want to consider incorporating Emu Oil into your daily routine. There are enormous, proven benefits associated with treatment using Emu oil, particularlyfor inflammation based conditions. If you’ve been thinking about trying Emu oil to treatyour symptoms, today’s the day to take action. Emu oil is a natural anti-inflammatory that can be taken internally (orally) and externally to help relieve the symptoms of arthritis, eczema, psoriasis and pain associated with sports injuries. Oil of Emu works by deeply penetrating all layers of the skin, relieving the actual source of pain and discomfort by reducing inflammation. Emu Spirit’s Oil of Emu is a versatile anti-inflammatory that penetrates the skin quickly because it has a composition similar to hydrolipidic film of sound skin (healthy skin). When taken internally, Emu oil reduces inflammation from the inside out. 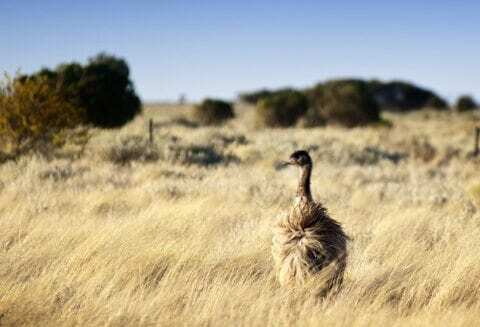 Moreover, Emu oil is great for those that cannot use ‘regular’ anti-inflammatories because it will not harm the stomach lining and there are no known contra-indicators associated with Emu oil. The benefit is, you can continue to use medications such as Warfarin and other supplements while using Emu oil. Emu oil can be used to effectively treat a whole range of symptoms such as bruises, sunburn, dermatitis, nappy rash, scars, acne, blisters, muscle aches and pains, RSI, and general health and wellbeing. 8. Emu Spirit Emu oil is a 100% safe, non-toxic, natural product – there are no harmful chemicals or nasty hormones. View our range of 100% pure Emu Oil here.